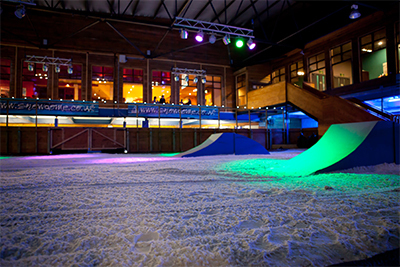 Few towns boast a castle, picturesque parks, a real snow ski slope, bowling alley, cinema and theme park, with a retail offering to match – Tamworth has all that and more. Located in the southern-most tip of Staffordshire, the former capital of the Ancient Kingdom of Mercia is perfectly placed for great days out with the family. 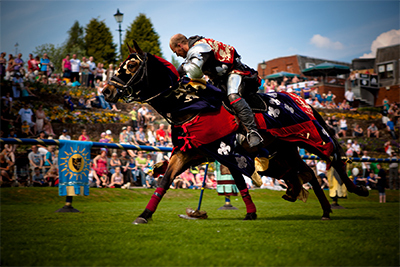 Tamworth is bursting with history thanks to its rich Saxon heritage and this combines with a modern leisure and retail offering to provide hours of fun for all ages. 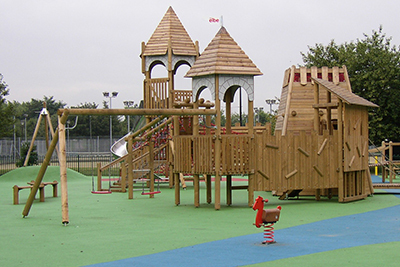 The attractive Castle Pleasure Grounds sit at the heart of the town and are home to a range of activities, including a large adventure playground, skate park, tennis courts, cycle hire, adventure golf, cafés, award-winning flower beds and plenty of space for ball games and picnics. 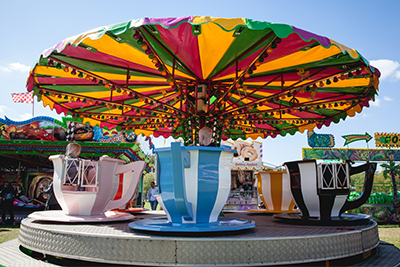 The park hosts a variety of outdoor events throughout the year, including summer concerts from the bandstand, open air cinema, annual food festival, a nationally-renowned St George’s Day extravaganza, fairs and circuses, to name a few. 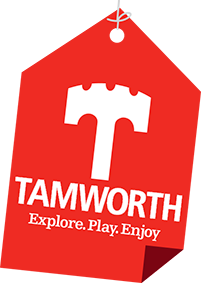 Download Tamworth’s packed programme of outdoor events for more information. A number of family attractions border the park, including the historic Tamworth Castle itself, which is open to visitors at set times throughout the year, Namco Funscape bowling alley with soft play centre and new adventure golf, the Snowdome and Leisure Island with its 2 swimming pools, ice-rink, snow play, gym and sports centre, 10-screen Odeon cinema and Tamworth Football Club. Just 5 minutes from the centre of town by car is Monty’s Indoor Adventure Play Centre and Jump Extreme Trampoline Centre. The Castle Pleasure Grounds are located between the traditional town centre, where shoppers can visit the historic St Editha’s Church and browse a variety of independent shops and restaurants, and the edge-of-town retail park, home to dozens of large retail chains, including a flagship Next store, M&S, John Lewis, Asda, Sainsbury’s, Outfit and many more. The retail sites and pleasure grounds are all within walking distance of each other, while Drayton Manor Theme Park and Thomas Land is just three miles from the centre of Tamworth. For nature lovers, Tamworth has 14 wildlife sites, including seven which are designated Local Nature Reserves, which offer great opportunities for getting close to nature and enjoying a day exploring the great outdoors. Other popular attractions such as Twycross Zoo, Ash End Children’s Farm, Kingsbury Water Park including Echills Wood Railway, Pooley Heritage Centre, Staffordshire Regiment Museum, Cliff Lakes, Daytona Karting, NPF Paintballing, Middleton Hall and Craft Centre, the National Memorial Arboretum, Conkers Discovery Centre, Moira Furnace, Snibston Discovery Park, Lichfield Cathedral, The Battlefield Line, Chasewater and Chasewater Railway are all within a short travelling distance of the town. With all this and more, Tamworth is the perfect place to visit, shop and explore.